Do you know the difference between a roll and a pinwheel? Neither do I, but these taco pinwheels will make you forget about all the minutiae in life. They’re cheesy, beefy, spicy but not too spicy, and rolled up in a crispy crust. Each pinwheel has just 260 calories, making them perfect appetizers or doubled up for main courses. And thanks to the 22 grams of protein in each, you’ll have to bring a serious appetite to finish more than than two. 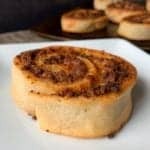 These pinwheels use a variation of 2-ingredient dough. 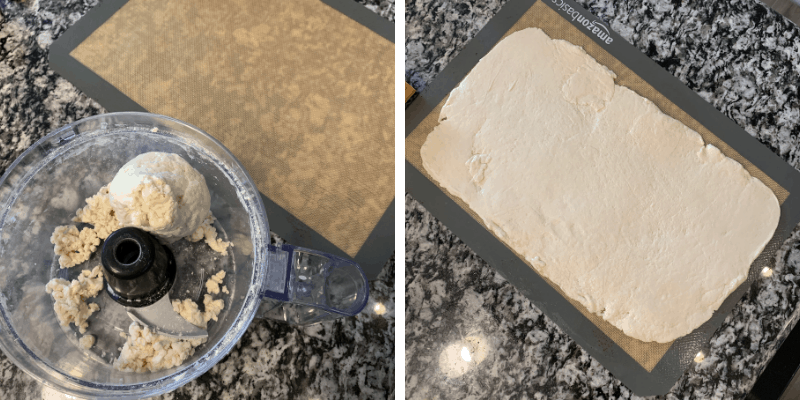 My obsession with this Greek yogurt and all purpose flour dough started with low calorie pizza crust and evolved to buffalo chicken empanadas. It’s super easy to make, and I doughn’t think you’ll have many questions. 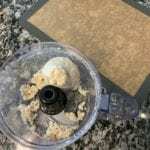 The recipe calls for a food processor to quickly mix the dough, but you’re more than welcome to get a forearm workout in and mix by hand. 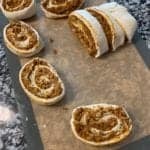 If you’d like to see the hand mixing of a similar dough in action, check out the recipe video for my high protein orange cinnamon rolls. 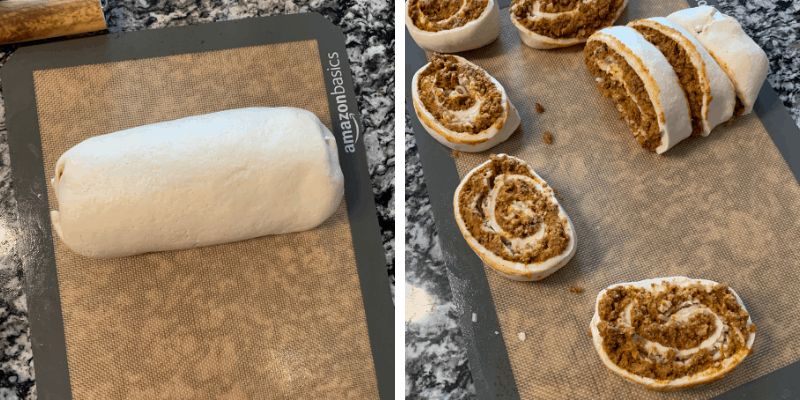 A quick tip I’ll give on rolling the dough is to use a mini rolling pin so you can use your other hand to stretch the opposite end of the dough while rolling. You can find the mini roller I use on my Amazon tools list. Once you have your dough situation rectangled away, it’s on to the beef mixture. If you’re familiar with my recipes, you know my love for southwest flavors runs strong. That said, I’ve turned down the heat a bit for these taco pinwheels. If you wanted a spicier version, check out the beef from my sweet potato nachos or chorizo and beef nachos. One difference you might notice in this recipe is the addition of cheddar powder to the seasoning blend. It’s only two tablespoons, so you’re more than welcome to skip it and replace with a bit more shredded cheese. And if you have no clue what cheddar powder is, I touched on that in the notes of my potatoes au gratin recipe. And that’s it for the dough and filling. Time to get your roll and slice on. This dough is on the sturdier side. So you shouldn’t have any issues cutting it. However, you can spray your knife with a bit of cooking spray to prevent sticking and tearing while slicing. 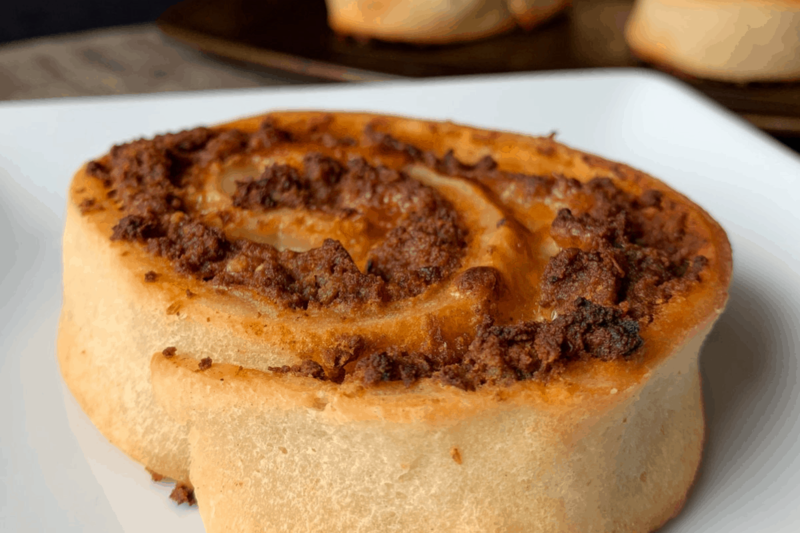 Once sliced, your taco pinwheels are ready to bake! Well done, chef. In case you’re wondering about ingredient substitutions, the addition of refried beans and Greek yogurt to the taco mixture is entirely optional. If you omit one or the other, however, you may find your crust to taco filling ratio is a bit lackluster. That’s just a guess, though! 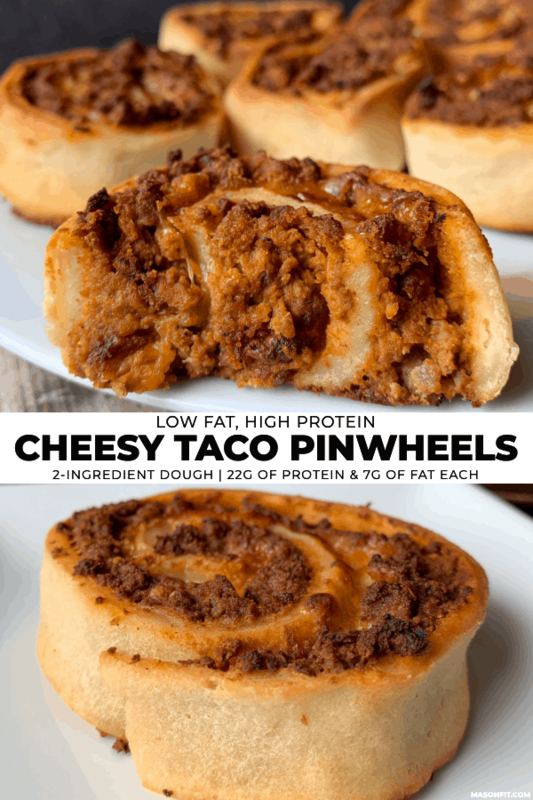 If you run into this, you might be able to cut the dough in half and make smaller taco pinwheels. Okie doke, that’s it! 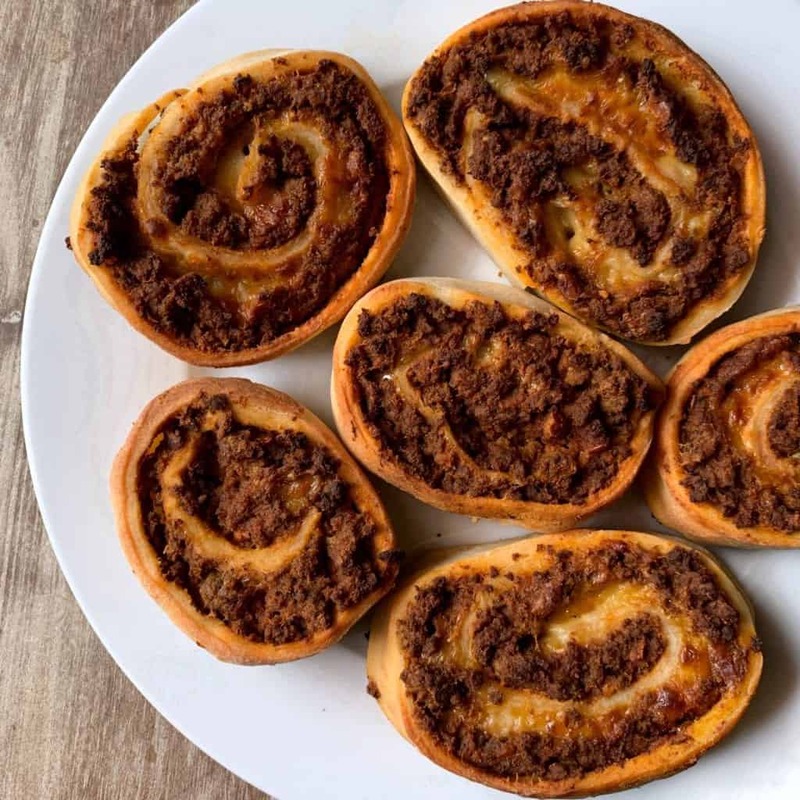 When you make these taco pinwheels, I want to see them! Take a photo of your creation and tag me on Instagram @mason_woodruff. Or you can join my free Facebook group and share it with the Proton Party. 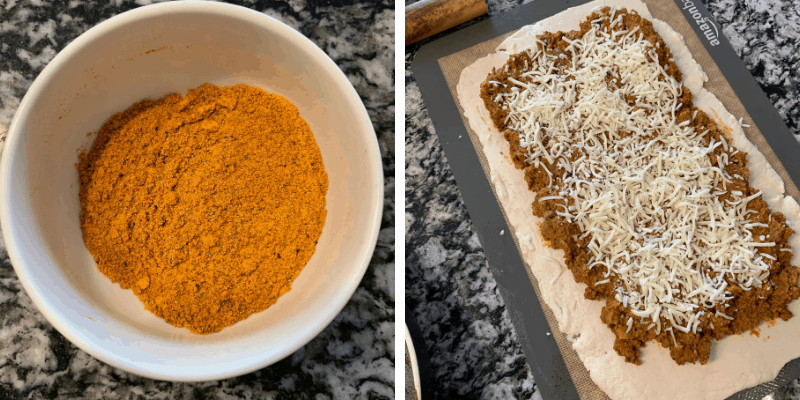 Cheesy beef and refried beans rolled up in crispy 2-ingredient dough. Cook the ground beef over medium-high heat until no pink remains. Add the seasoning blend 3/4 way through cooking. Reduce the heat to low and add the Greek yogurt and beans, stirring well. Let the mixture simmer while you prepare the crust. Add the flour and 1 C yogurt to a food processor (you can also mix by hand). Pulse until a rough dough forms. 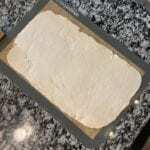 Place the dough on a large piece of parchment paper or baking mat and use a rolling pin to roll the dough into a large rectangle (about 15x10). You may want to spray the surface with nonstick spray or lightly flour to prevent sticking. Add the beef mixture on top of the rolled dough and top with the shredded cheese. Leave about an inch on the sides to prevent overflow when rolling. 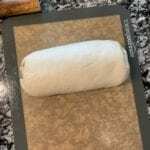 Roll the dough, tucking the sides in once rolled. Use a knife to slice the roll into 8 pieces, placing each slice on its side. Brush the olive oil around the edges of each slice. Feel free to add fillings like onion, fresh garlic, jalapeño peppers, etc. 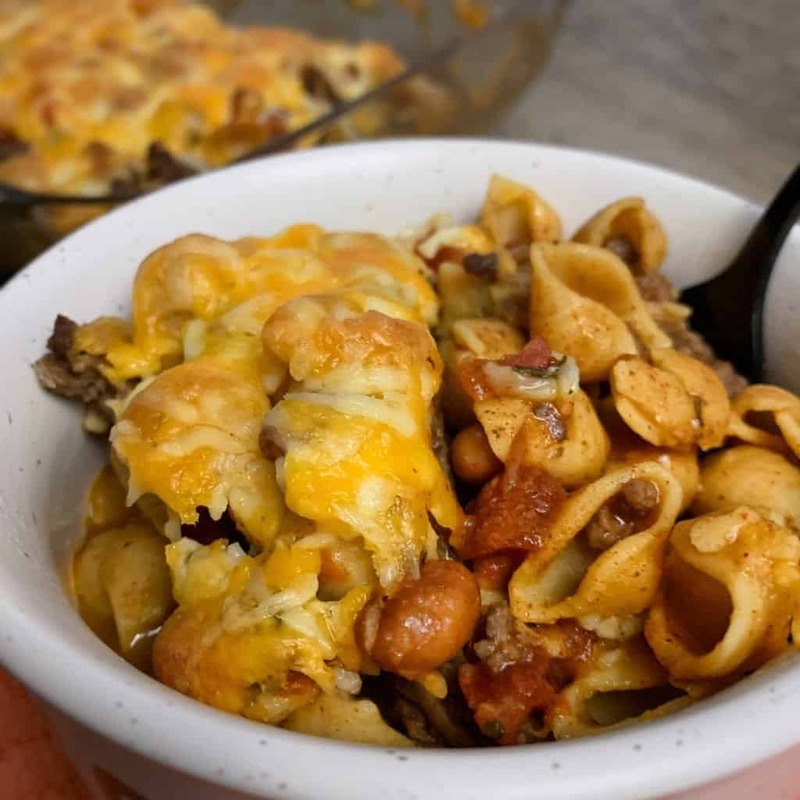 My easy taco pasta bake is one of the most re-created recipes on the blog. 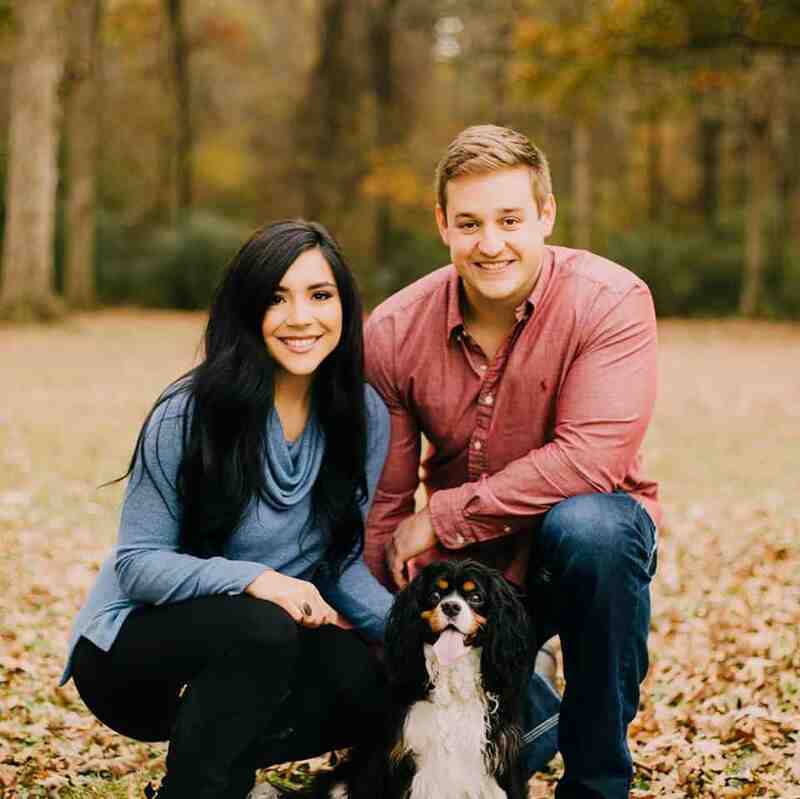 It’s too easy not to try! 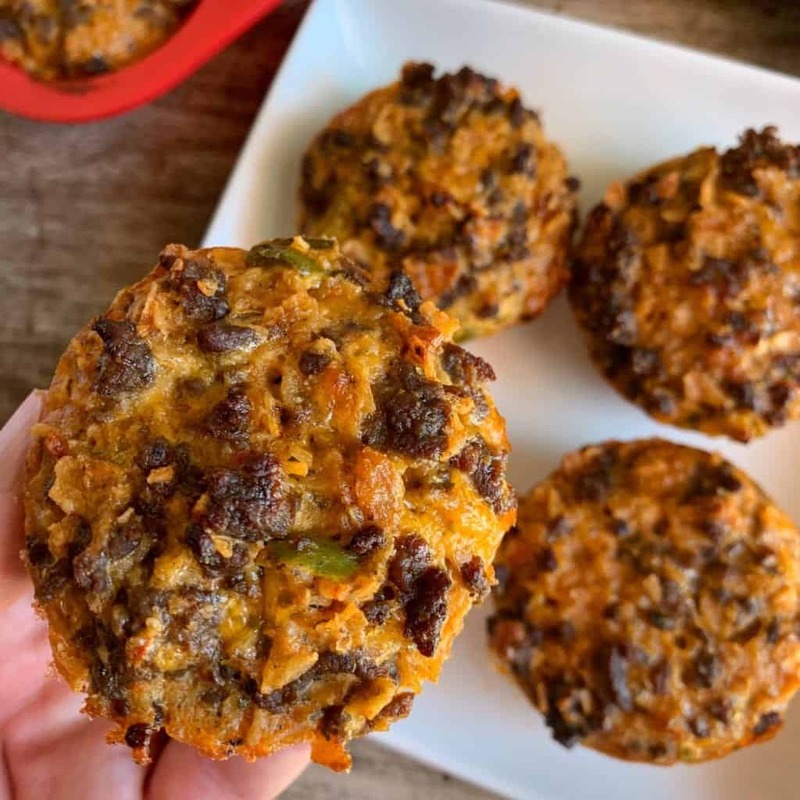 And since part of the greatness of tacos are their handheld nature, I’d highly recommend my low carb taco bites.